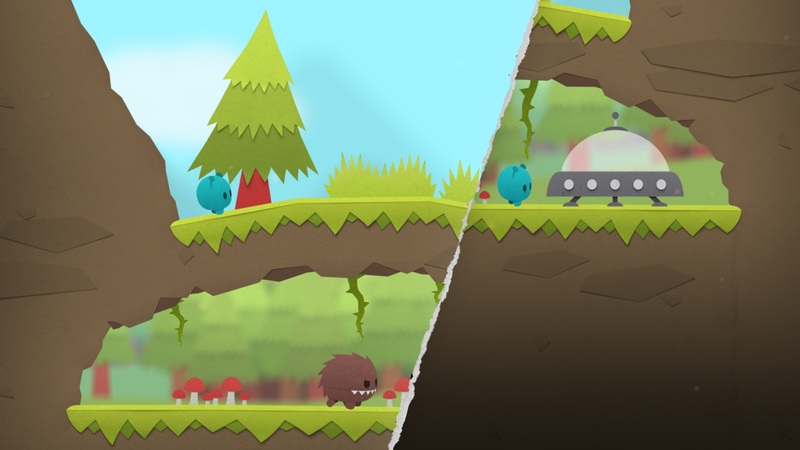 Splitter Critters ($2.99) is a cute Lemmings-style puzzle game with a clever gimmick and a gentle difficulty curve. From the developers behind the intriguing Dark Echo ($1.99), this game sees you trying to help adorable little aliens reach their UFO and escape each stage. They’ll move around on their own, with each type exhibiting slightly different behaviors, so you’ll have to herd them to where they need to go. Your only means of doing that particular task is by tearing the screen in half with a swipe and moving the pieces to create a path to the goal. As you progress into the later stages, you’ll often need to slice the world into pieces a few times to get things where you want them. Since you’re limited to three cuts at any given time, the stages aren’t meant to get too complicated, making this a pretty enjoyable experience for players of all skill levels. The tearing mechanic is simple yet effective. All you need to do swipe across the screen in any direction you want, refining it by holding and adjusting your touch. Once you release, the screen will look like it’s been ripped. You can then press, hold, and move your finger to slide one of the two sides along the cut in either direction. Once you release your finger, the pieces will lock, and you’re free to make another split. There’s an on-screen button that allows you to take back your splits one at a time, and that’s pretty much the long and short of it. It’s easy to use but it still feels a little bit like magic the first few times you do it. Amazingly, the game is able to sustain itself just fine with that sole means of interaction. It does that by throwing a mix of aliens and obstacles at you. Some aliens will march forward no matter what, others will turn back when they hit a ledge, some are vulnerable to enemies, others will smash right through them. Even keeping the little guys straight can be like herding cats at times, and that’s without considering the level hazards themselves. Some of them, like fire pits or lasers, can be lethal, while others are more of an annoyance. If the aliens are killed, you’ll have to restart the level, but you can take as many tries as you need to pass a stage. Naturally, with such a free-form method of interaction, there are a variety of ways to solve any given problem. This gives you a feeling of personal ownership over your strategy, which is always satisfying. At present, the game has just over 40 stages with an handful of bonus levels waiting after you’ve cleared them all. They’re grouped into five worlds, each introducing a few of those aforementioned twists for you to deal with. The difficulty curve is incredibly smooth, with business really only starting to pick up in the fourth world. The last world is a particular joy as it introduces a new mechanic that requires you to fully make use of your ability to distort the levels. I suppose this kind of leads into my main gripe, though. The game feels like it ends just as it’s getting cooking. The App Store description promises more levels in the future, and I certainly hope they come to pass, because the idea is just too good to leave hanging. If you’ve played Dark Echo, you might yourself surprised with the presentation of Splitter Critters. It’s soft, cute, and colorful, with some absolutely fantastic audio backing the pleasing visuals. While I initially had some issues with the way the camera worked in some of the larger stages, that has since been corrected in an update. As I’ve already mentioned, the controls are quite intuitive and well-suited to mobile devices. While the travel of your finger can be an issue depending on where you start your swipe, there’s really little consequence to having to re-do a split. You can only move the screen so far after a split, so you’ll usually hit that limit before your finger falls off the edge of the display anyway. 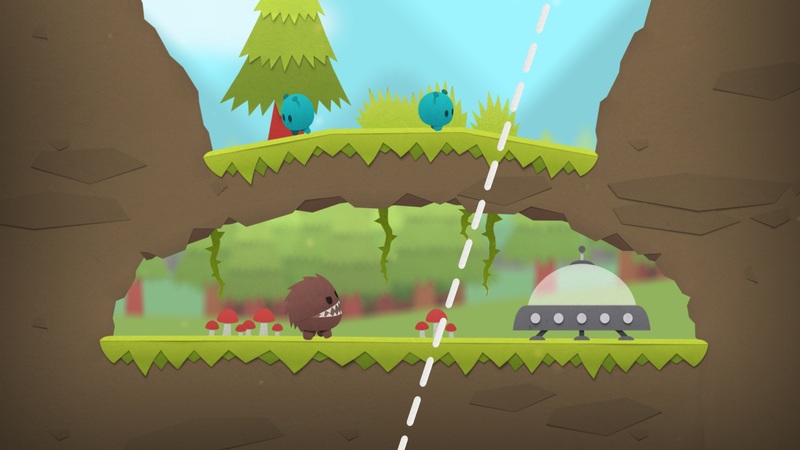 Splitter Critters is inventive, well-presented, and most importantly, fun. I think it speaks well of a game that upon reaching the end, you wish there were more to play. 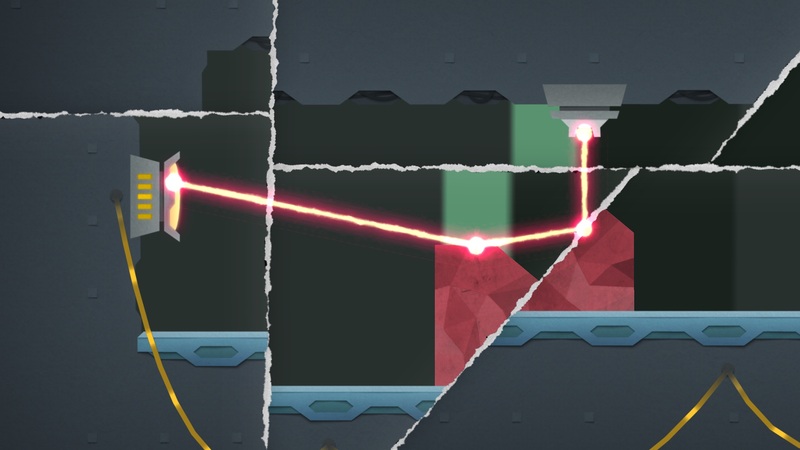 You’ll get a good value out of Splitter Critters, and the open-ended nature of the solutions means you can conceivably get a lot of replay out of each stage if you’ve a mind to trying different ideas. It feels a little short, but if you’re looking for something interesting with a heavy dose of charm, you won’t likely regret picking this one up.